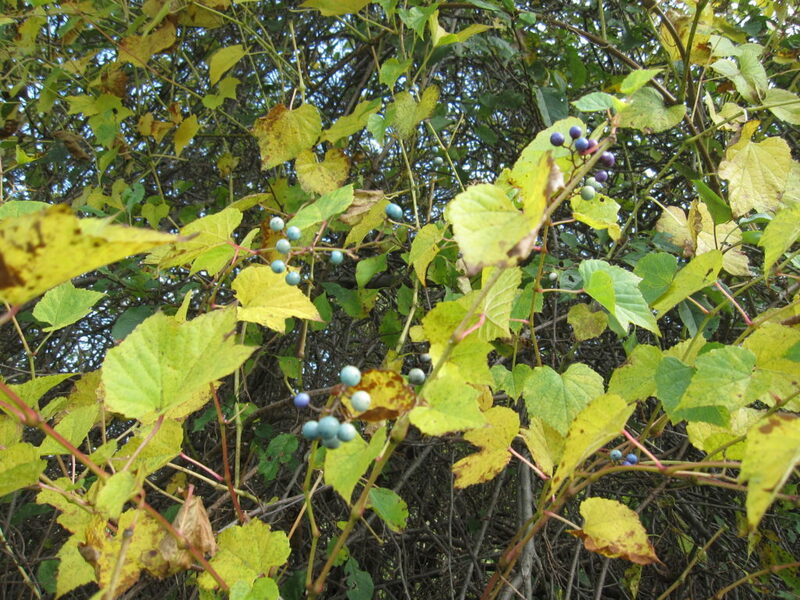 Porcelain berry is similar in appearance to wild grape except that the pith (center of the vine) of porcelain berry is solid white; mature bark does not peel; berry colors include white, yellow, lilac, turquoise, green and pink, eventually turning dark blue; leaves are generally small with deep leaf lobes; and the underside of the porcelain berry leaves are always glossy. Because the vines break easily, cut them near the ground with loppers or limb saw. These vines often run along the ground where they may root wherever the nodes come in contact with the ground and must be uprooted. Vines without berries can remain on the host plant to air dry above the ground. 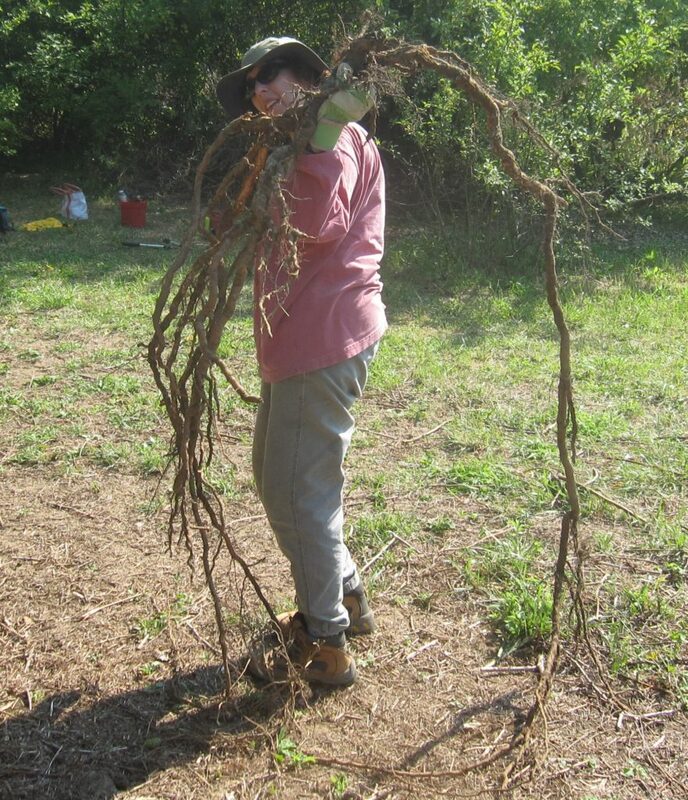 Dig, using a Pulaski axe or mattock for larger vines to pull out the entire root; with large pliers or a weed wrench — or similar tool — for smaller ones. Since any portion of the vine will re-root at a node when left on bare ground, cut vines and berries should be bagged and disposed. 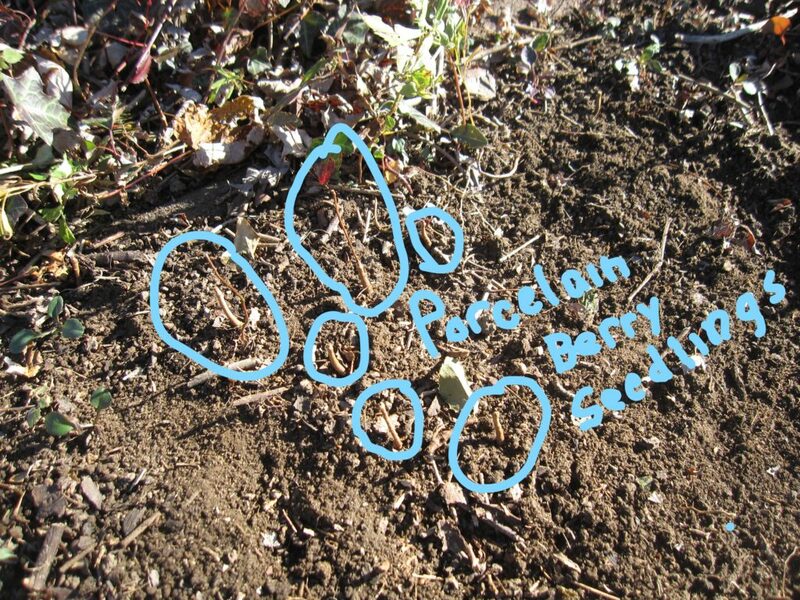 Porcelain-berry seedlings in late fall. Check on regrowth semi-monthly and with large pliers, remove suckers and seedlings in the area as they emerge.